Today the children are back at school so the house is quiet, yesterday was a inset day for our school and it was a real bonus to have a calm day at home; they played with toys they had missed while on holiday which meant I had a bit of an opportunity to sew. 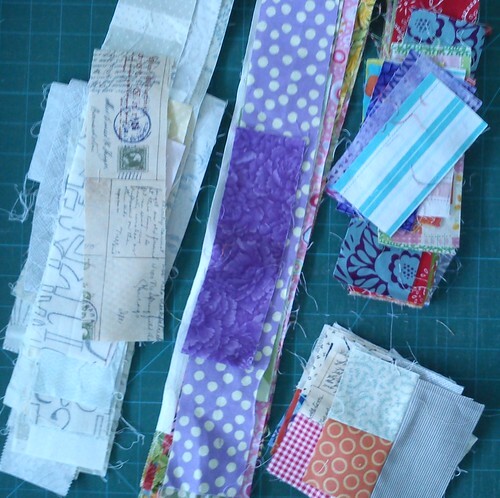 It was pretty straightforward and Julie asked us not to sew the four blocks together as she will do that once they are all received. 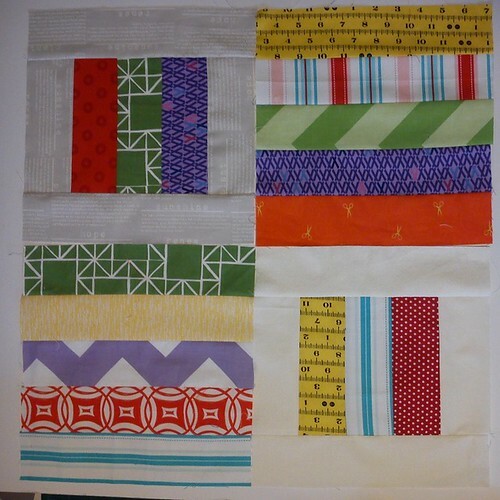 I’m not sure what size blocks I’m going to make, I’m thinking of 12″ but will just get stitching and see it works out. So my goal for the month is to make at least 12 scrappy log cabin blocks, although if I make them 12″ I will need approx 30! If you fancy joining in check out the hashtag on IG and get stitching. « A truly lovely year of finishes! 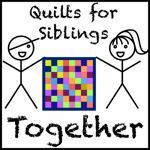 Just a reminder I still have some of the great Siblings Together quilt labels that Spoonflower kindly printed for us, so do let me know if you or anyone else would like one.